Driving straight on the National Route 20 would be recoomended if you are heading for Michi-no-Eki ‘Kai-Yamato’, where both sides of the road are orchards of grapes and peaches, you may enjoy a great view in full bloom or in harvest depending on the season. 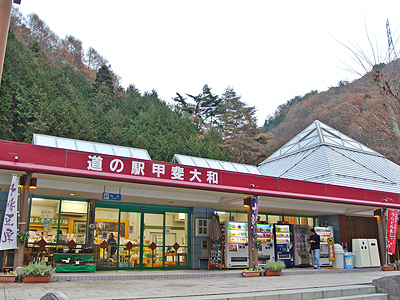 You can drive from Michi-no-EKi ‘Shirane’ heading for Otsuki, or vice versa, from Otsuki I.C. of Chuo Expressway. 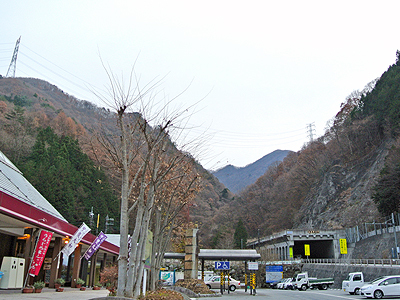 Michi-no-Eki ‘Kai-Yamato’ is situated in the west side of the long tunnel of Sasago, inbetween the layers of mountains dividing Yamanashi Prefecture and Tokyo Metropolitan. Michi-no-Eki ‘Kai-Yamato’ by National Route 20, by the long Sasago Tunnel. 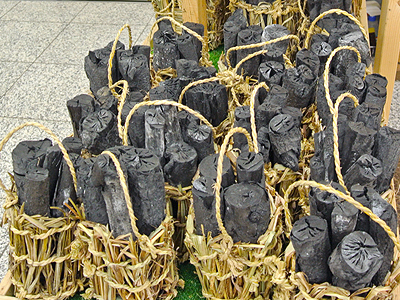 This Michi-no-Eki is very small and less fancy things are sold but is engendering the deep mountainous atmosphere of woodcutters life of Japan. Farming comodities and pot plants sold. 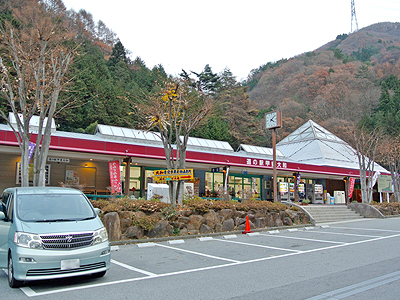 However, there are many interesting spots such as Keitoku-in temple, Seiun-temple, hot spring of Mt. Tenmoku, Valley of Ryumon, around here in Koshu area, Michi-no-Eki ‘Kai-Yamato’ is the best position for the landmark or resting point. 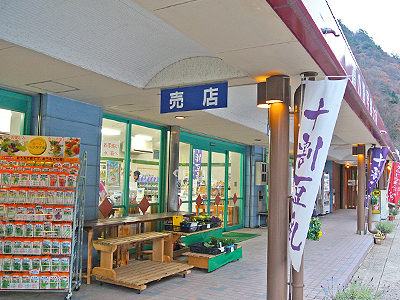 Address : 2248 Yamatocho Hajikano, Koshu-shu, YAMANASHI Pref.